Time for another pud and this time it's this cake from Greenland. I've no idea why this cake is called a Chef's dream cake so I can only surmise it's because it's so easy to make. Cream the eggs and sugar together. I felt confused about this for the rest of the recipe since you usually cream sugar and butter to make a cake. Sift in the flour and baking powder. Add the vanilla essence too at this point. Warm the butter and milk together until the butter is melted. Then add it to the batter. Line a cake pan with baking paper and pour the batter into it. Bake at 200C for 20 minutes until a toothpick comes out clean when poked into the cake. Meanwhile you can make the topping. Warm up even more butter and milk until the butter is melted. then add the brown sugar and coconut. Mix together well. When the cake is done, spread the coconut mixture on the top of the cake and put it back in the oven for 5 minutes on 220C. This recipe makes a pretty delicious cake. It's really moist and dense with a crunchy sweet topping. JD, Leigh, Erin & I all enjoyed several pieces and were sorry when it was gone. I really liked how the cake wasn't too sweet and sickly. The kids said they loved the topping best but I thought the cake was the best part. It reminded me of cake my Nana used to make, so moist that you didn't need a cream filling to stop it being dry. Anyway, great cake. We'll likely have it again, maybe with different toppings to experiment. It's the turn of Panama and I've chosen this breakfast dish of fried dough with sausage stew. Put all the ingredients in a bowl adding the water last and only adding enough to make a dough that's not too sticky. Cover dough with a cloth and leave for an hour. Chop up the onion and bell pepper then saute it in some oil until softened. Cut the hot dog sausages up into small pieces. Now the vegetables are softened, add the hot dog pieces and continue to cook for 2-3 minutes. Add the tomato puree along with a splash of water to make a sauce then leave to simmer on a low heat. When the dough has rested for an hour, cut it into 4 equal pieces and shape into rough flat rounds. Heat up 2 inches of oil in a pan and deep fry the dough rounds. Turn once during frying to make sure they're cooked on both sides. Take them out and drain on kitchen paper once they turn a golden brown colour. This was a nice meal. Just as good for tea even though it was meant as a breakfast. The sausage stew was good but the real winner was the hojaldas. We were all really surprised how delicious they were. We weren't expecting much from the fried dough but it was crunchy on the outside, soft and fluffy on the inside with a salty taste that left you wanting to eat more. Sadly the kids both ate theirs so there wasn't any more. The hojaldas was good to mop up the stew's sauce because they taste great together. We'll definitely be having the hojaldas again and I urge you all to give them a try. Good work, Panama! 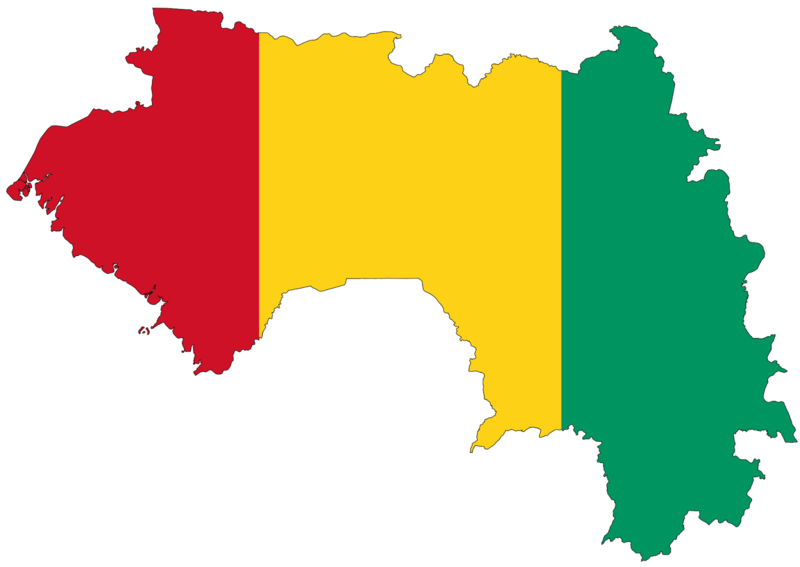 Guinea is a West African country formerly known as French-Guinea and sadly not where Guinea Pigs originated from. Brown the beef in the oil. Chop up the onion and garlic. JD bought me one of those garlic tubes that peel garlic so I enjoyed preparing the garlic for this. Add the onion, garlic, salt, pepper and parsley to the beef and saute until soft. Add the water, peanut butter, mixed herbs and tomato paste. Simmer for 1 hour. The stew simmered down to a very rich, smooth consistency. A lot of the oil came to the top of the dish which made it a bit greasy to eat (I'd use much less oil next time). The peanut butter helped make the dish creamy which was lovely and it was delicious too. JD and I enjoyed it (JD took leftovers for lunch today) but the kids didn't want to try it. It's an interesting flavour to combine peanut butter (which I see as sweet) and tomato paste (savoury) but it works well.